The biggest chunk of people out there will just rush into Nascar, soccer, basketball or other kind of sports betting before doing any meaningful research or fact-finding. Though this may just be okay if your goal is only having a little bit of fun and getting lucky once in a while, if your target is winning real cash then you will have to put a little bit of more effort than that. – Each NASCAR track is sized differently from others; none is the same to any other. A racer will thus have to adjust to a new track with every new race. Compare the track they are racing on now to the one they used last week to determine if it is similar or different. – For some good reason, be it experience, skill or just luck, a number of racers do have excellent finishes on some tracks; look out for such racers. A Full Tilt racer who has had mostly top 5 finishes in the past 2 to 5 seasons on a given track will have higher chances of repeating that feat on the same track this season also. – Because there is a possibility of winning races by betting on manufacturers, be sure to look out for those manufacturers that characteristically do great on the next track you are betting on. For instance, if a Ford car has topped races in the past 10 years on a certain track, then you should certainly have some good reason to bet on Ford winning it another time. – You should constantly check out match-up bets and ensure you do more bets on them before moving on to others. At 50%, match-up bets offer you the best odds. With some good background search, it is possible to win some really easy cash on them. For example, when a racer who has been excellent on a subsequent track is matched up against one who crashed on it in the past couple of races, then you have a reason to bet on the racer who has had a good record. – For some bets, it is possible to find a few sportsbooks with different odds, and with some online search, you can find the best odds for every race. So, when you get a chance, use more than one sportsbook so as not to limit yourself to just a few odds. 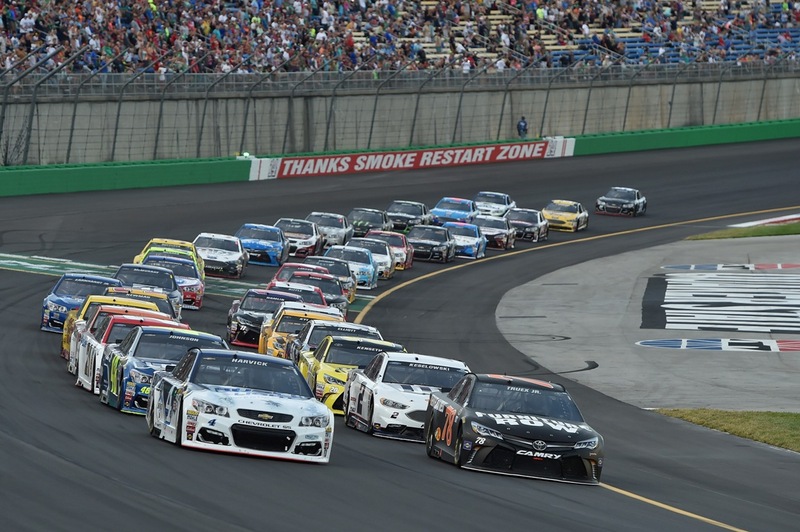 – If you intend to earn some cash by betting on NASCAR, you need to spend more time going through practice as well as qualifying trials for every race. With that, you will be more sure of cars looking good enough for racing much early in your week. This can give you an advantage on some match-up bets later in that week. These NASCAR betting tips will come in handy when deciding on what bets to take. Take your time; do not hasten to bet on just any racer that you think can win, do some fact-finding on them to have confidence about that racer winning.